After completing graduation some of us wander in search of jobs and others want to pursue higher studies. For those who want to do Master’s, there are many options available to choose from. They can either opt for MBA, ME, M-Tech and lots of other courses. Getting Maters degree from abroad is considered as valuable. Many people apply for various programs in foreign countries. One such course is MS i.e. Masters of Science. Every country has its different exam which you need to crack for being eligible to apply for Masters programme in that country. If you want to pursue your MS from USA then you need to crack GRE first. The "Graduate Record Examinations (GRE)" is a test conducted by "Education Testing Service (ETS)" for admission to many graduate courses in the US. GRE is carried out for admission to courses in technical field. It has a multiple choice exam pattern that is designed with the purpose to measure verbal reasoning, quantitative reasoning, analytical writing and critical thinking skills of the candidate. GRE score is necessary for getting admission to any foreign university. This exam is completely computer based and is conducted by certified testing centers. Selection procedure of each school and colleges is different in terms of GRE score. Some ask for merely "GRE" appeared and some want certain GRE score for being eligible. GRE exam pattern was changed from the year August 2011. Earlier the exam was judge on question by question basis which was changes to section by section basic. That means, first section determines the difficulty of second section. The syllabus is still the same as earlier. 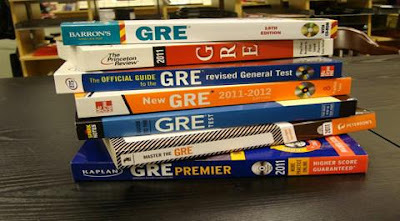 GRE generally consists of six sections. Out of which Verbal Reasoning and Quantitative Reasoning comprise of two sections each. The other two sections are formed by "Analytical Writing section" and "Experimental section". Following is the detail of each section. The "Analytical writing" section is basically essay writing. Candidates are provided with a question topic and the marking system is based on 0 to 6 point scale. The essay is to be written on the computer in a special computer programme approved by ETS similar to Microsoft word but with no options of spelling or grammar checker tools. This section is divided into two sub sections. Issue Task: Candidates are given 30 minutes to write an essay on the given topic. Argument Task: Candidates are given an argument and they have to write an essay that criticizes the argument. In simple words candidates have write against the argument. You have to highlight the drawbacks about the argument and to provide suggestions to improve the sense of the argument. "Verbal Section" is split into two sections. This section is designed to check the reading comprehension skills, critical reasoning ability and vocabulary knowledge of the candidates. Points are rewarded on the scale of 130 to 170, with an increment of 1 point on every correct answer. Each section consists of 20 questions that have to be answered within 30 minutes. Typical verbal question paper consists of 6 questions based on completion of the given text, 4 questions on finding the correct sentence equivalence of the presented sentence, and 10 questions on critical reading i.e. your ability to understand the correct sense of the question. Similar to Verbal Section the "Quantitative Section" is also split into two sub sections. This section is designed to check for the basic mathematical knowledge and reasoning skills of the candidate. Points are rewarded on the scale of 130 to 170, with an increment of 1 point on every correct answer. Each section comprises of 20 questions which need to be answered within 35 minutes per section. Typical quantitative question paper consists of 8 questions on quantitative comparisons, 9 problem solving puzzles are presented to measure the problem solving ability of the candidate, and 3 data interpretation questions. These questions are multiple choice questions and some of them are fill in the blank type. This section is randomly selected and can consist of any one of the three sections i.e. Analytical, Verbal and Quantitative section. The experimental section does not contribute to final test score. But there is no way of knowing which section is experimental one so candidates are advise to solve each section wisely. On paper based GRE there is no experimental section. In India the cost of GRE exam form is Rs. 12,000. Total expenditure for the 2 year MS course in USA is 50 lakhs rupees.If you are planning to study abroad then many banks provide education loan for MS. You can also fill the form on our website posted on the right side to help you with GRE and GMAT guidance and with loan. Fill the details and click on the I agree box and submit the form, within two days consultancy agency personals will contact you. They will guide you with your GRE and GMAT preparations. 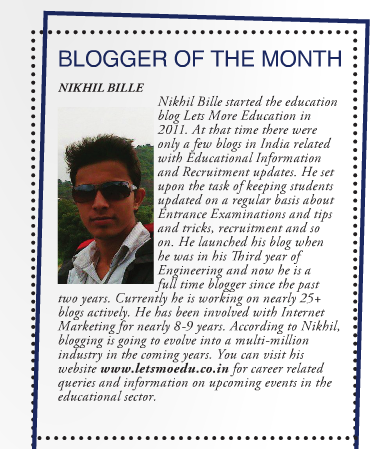 thanks friend....can u give official website of GRE and which countries consider GRE score?